VPNs are essential for browsing the web without your ISP looking over your shoulder. But too many providers deliver this privacy at the expense of your browsing speed, bogging down your connection and making it much more difficult to stream your favorite shows under the radar. Enter Surfshark VPN. Featuring high-end encryption and unlimited data, Surfshark gives you browsing privacy without compromise; and it extends this coverage to your entire family. 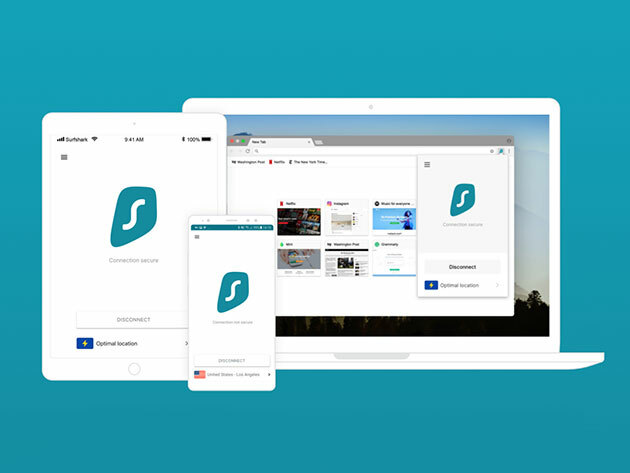 Offering unlimited simultaneous connections, Surfshark lets you and your family mask their online movements and steer clear of hackers on any device. It covers your browsing bases with AES-256-GCM encryption and IKEv2 and OpenVPN protocols while offering access to 500+ torrent-friendly servers and unlimited data. That way, you can sidestep the geo-restrictions that keep you from accessing sites like Netflix and Hulu abroad while streaming your favorite shows at lightning speed. One-year subscriptions to Surfshark VPN are on sale now in the Boing Boing shop for $39.